Bubble CoCo Collect Free Items, Daily Cheats, Rewards, Gifts. When you see a block, do you feel the urge to swap it? No no no no.... from now on, just tap it! Download now to try! On Android and iOS Link ... In just one simple move you can enjoy Boosters shooting in every direction and spectacular bursting blocks! Blaster Chef is faster, cooler, and more fun than any match-3 puzzle; because it's a match-2 puzzle! Looking for a bit more danger and adventure in your puzzle games? CookApps has got you covered! 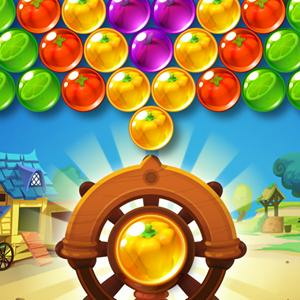 Blast your way through hundreds of clever matching puzzles, explore the secret jungle temple and recover ancient riches in the exciting new treasure hunt adventure: Jungle Gem Blast Download now : Link ... Jungle Gem Blast is completely free to play and doesn't even need an internet connection once installed! So what are you waiting for? Welcome to the jungle! Dear Bubble CoCo Family, Greetings! We've received a lot of feedback from all of you since the last update! And thanks to you, we've found some unintended bugs with the "To Do List" feature. Below are some details: Issue with reduced "To Do List" rewards has been fixed. (+Compensation gift!)... There was a bug causing the rewards of completing tasks to be less than usual. This was not an intentional change, and we fixed the system to correct the reward amount. All new tasks that are received from this point will have proper rewards. Please note that older tasks received prior to the fix will still have the incorrect rewards, so please refresh the tasks to ensure full reward amount. In addition, we are providing gifts to compensate users that were affected by this issue. Please find 10,000 FREE Coins in your inbox! Issue with tasks: "Clear new levels" and "Get stars" We noticed that these tasks were appearing to users who do not have any more new levels to clear, or no more stars left to obtain. We will be changing the system so that these tasks only appear to users who are able to clear them. Purchase errors Some users are experiencing issues with making purchases and not receiving their Jewels or items. This may happen for a variety of reasons, but we are ready to assist you in properly receiving your rightful purchase. Please refer to the following help page for instructions on how to get your purchase restored ASAP: Link The Bubble CoCo team is trying our best to listen to your feedback and implement them to the game. Thank you for your support, and we hope to improve in the future. Thank you! This Website is not affiliated With Bubble CoCo. Trademarks are the property of their respective owners. Game Content and Materials Copyright Bubble CoCo. All right reserved.